Orders are generally processed and shipped within one business day. Orders received* before 7AM EST will ship the same day. *Orders are not always received immediately after they are placed. Tindie performs fraud checking prior to alerting sellers of new orders so there can be a delay between when a customer places an order and when a seller receives it. Great little programmer, my only real complaint at first is that it seemed a little slow. That's easily fixed by changing the value of default_bitclock down from 2.5 to 1.0 in your avrdude.conf. Makes a big difference. 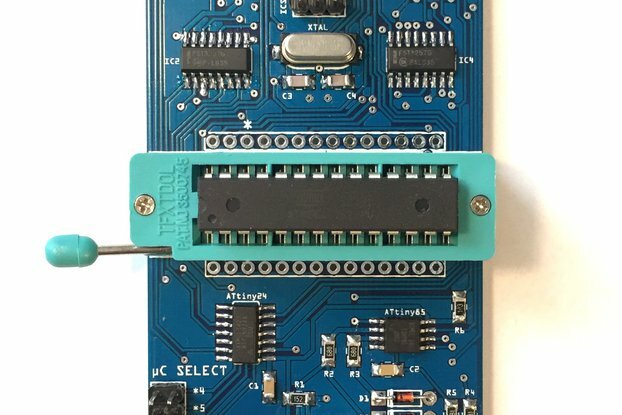 I had found several ATtiny2313 projects on the web that I wanted to build, however, not being adept at programing , I shied away in favor of the easily programmable PIC with PICKit2. But with this ingenious and easy to use devise, I can program the ATtiny just as easily as PICs !!! Another bonus is that I found a free AVRDude GUI, which functions much like the PICKit2 graphical user interface. All I had to do was point it toward the proper avrdude.exe, and I now have programmed microprocessors! The quality of this product is first-rate and shipping was instant! I highly recommend this seller! 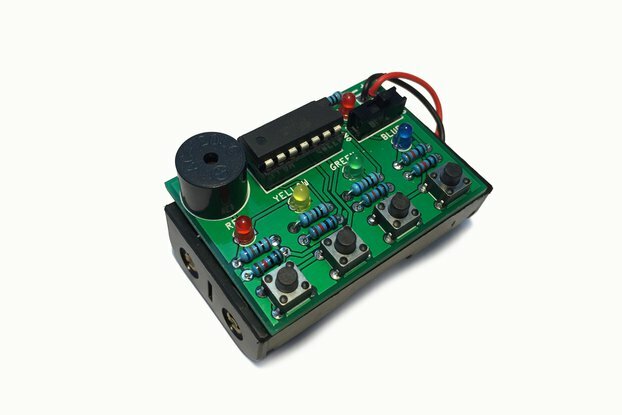 This is a great purchase for anybody who wants to program AVRs. 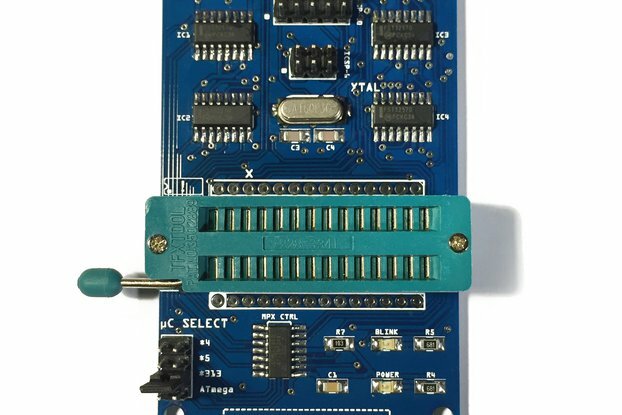 It's much easier than breadboarding each chip individually, and the ZIF socket allows you to program all sizes of chips. I've had this product for 2+ years and it still works as well as when I received it. I bought two of these kit for my daughter and one of her friend, both 9 years old, and they both were successful building this kit. It is almost as simple as it could be, both worked perfectly and they really enjoyed the result. On my side, I find these kits really great, the instruction are nice, the price for complete kits is pretty great, overall I'm really happy. If you make a new revision of this, could you revise the silkscreen? reading the resistor number is not so easy with the resistor drawing on top of the letter, enlarging the resistor to avoid having the lines over the text would be great. Many thanks for these kits! Jeff did a great job with this product. I did have a rocky start getting the correct USB drivers. Found out it works only through a USB hub on my machine for some reason. Am using it to program up my ATTiny45s for my own production product.